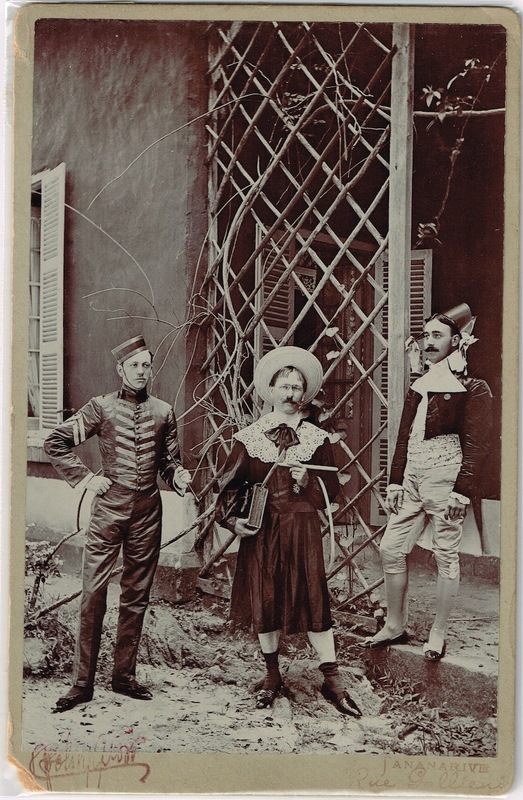 This is another one of those dilapidated photos I am fond of and which I was able to secure for a few dollars, due to its condition. In good nick this could be worth up to $50 or more, which would put it out of my price range. It appears to have been only partially coloured. There is no sign of fading that indicates other colour work was once there. 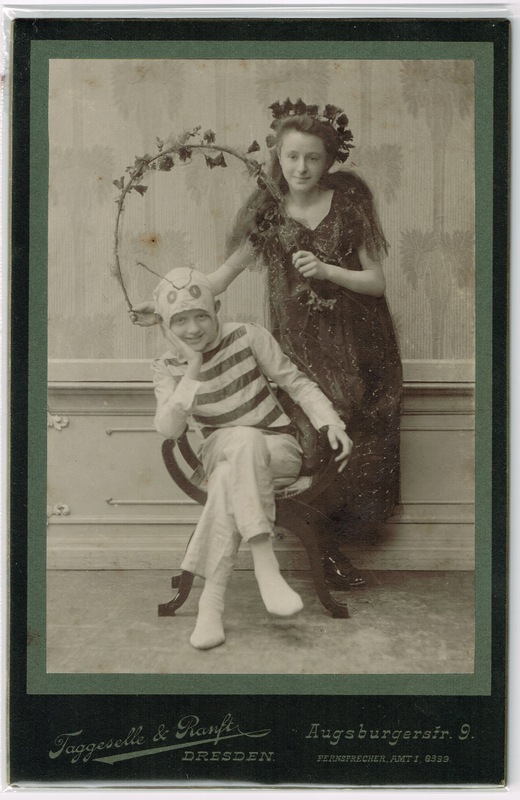 It may have been an amateur “at home” colouring job or specifically designed by a professional colourist to accentuate the delicate flowers as a notable feature of the girl’s costume. 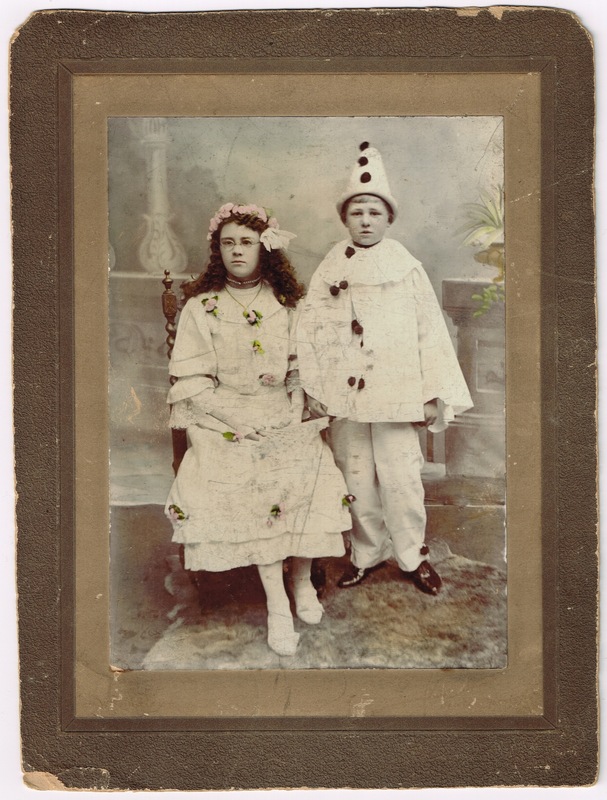 I am not all that keen on photos of children per se, but do love pics of anyone in costume, particularly if one of the costumes is that of a clown or Pierrot character. This photo comes from the United Kingdom and is mounted on heavy card. 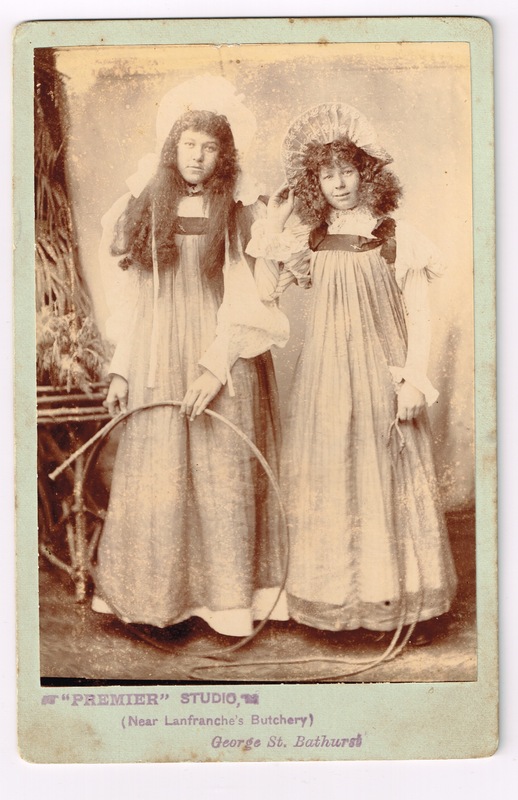 It is larger than a standard cabinet card, measuring 48 x 200 mm. 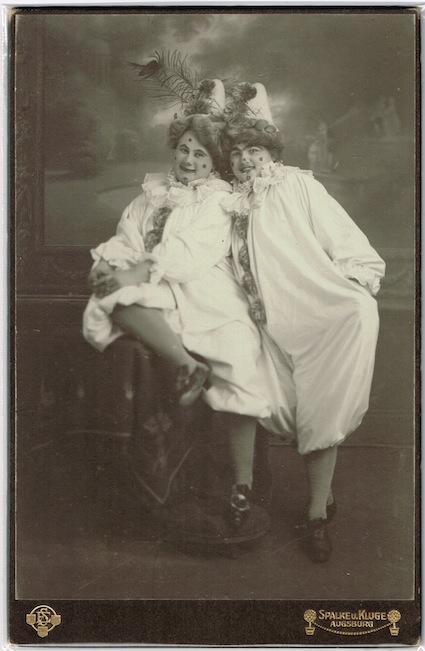 I would guess the date to be between the late 1890s and early 1910s. The actual size of this portrait is about the same as an average photobooth pic, being 38 x 57 mm. 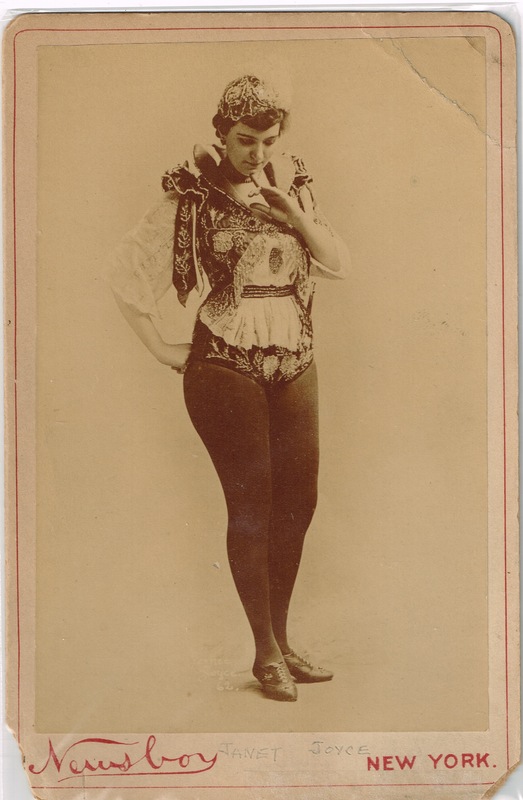 I imagine it is a miniature print done by the studio that took the original photo. It doesn’t appear to be a later copy. 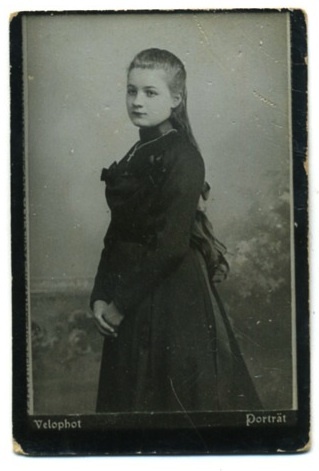 The long-tressed, serene young lady is wearing black but I don’t think it is necessarily for mourning. I have seen similar photos labelled as being a souvenir of the Sacrament of Confirmation in the Catholic church. You can see what is written on the back in pencil. Good luck to anyone who is game enough to try to decipher it. 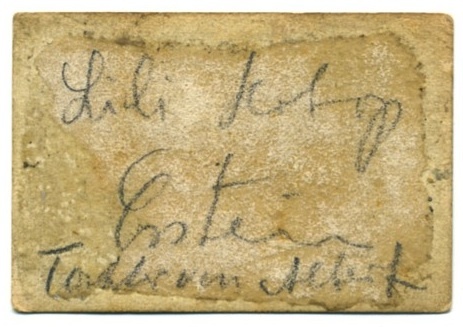 All I can make out is Lili, possibly Castein and Albert but even then I’m not sure I have any of it right.